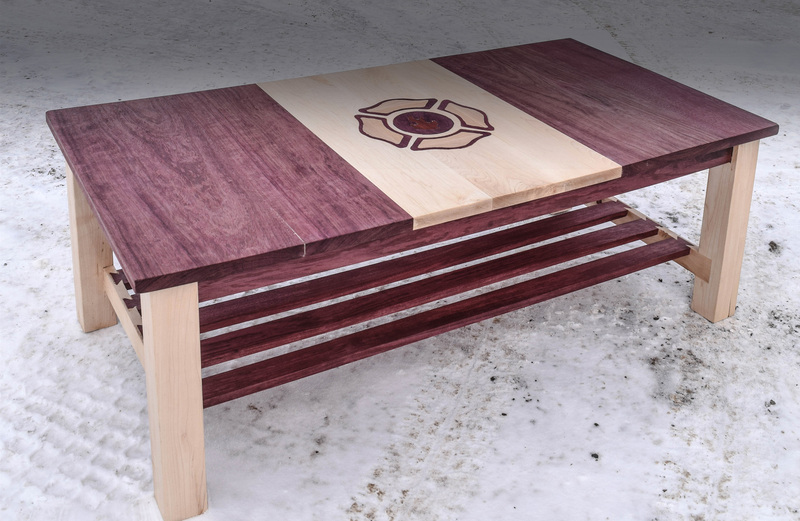 One of a kind wood and custom cut glass tables. Solid slabs of your favourite quality wood grains. 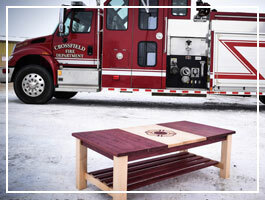 We bring your custom furniture designs to life. 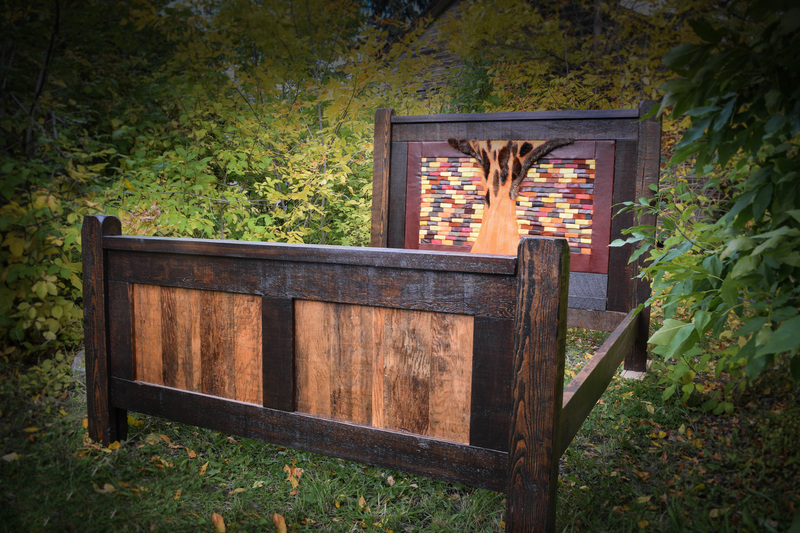 Quality handcrafted furnishings - for less than you'd expect. At CP Wood Gallery it is our goal to instill tradition and quality into every piece of furniture and cabinetry we craft in our workshop. The designs we build are often more contemporary than the traditional pieces that they are based upon. 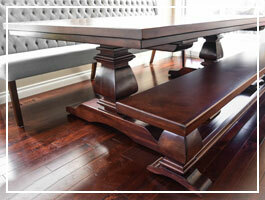 Whatever the design influence, the end product is heirloom quality furnishings for our customers. 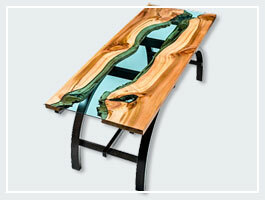 At CP Wood Gallery Custom is our Specialty! Have it your way. Your style, size, and choice. We work with many materials including, but not limited to Pine, Fir, Maple, Birch, Oak, Cherry, Walnut, Hickory, and Mahogany. 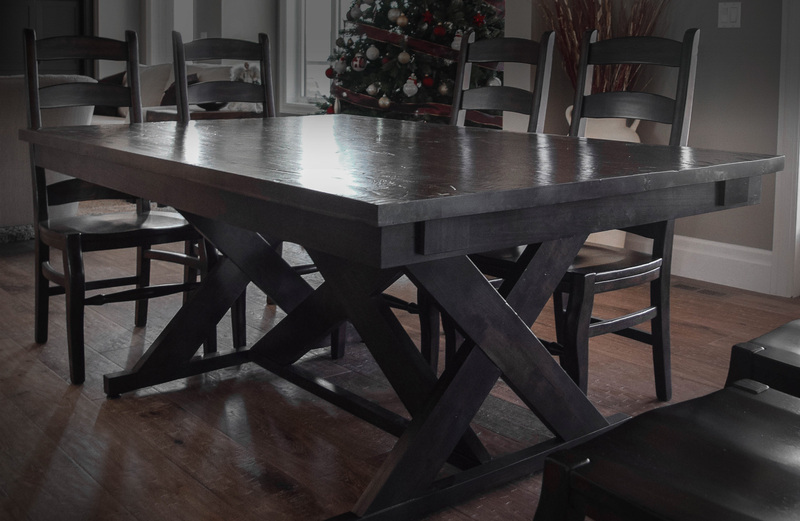 Whether you're a Country Charmer, an Urban Sophisticate, or someone building your Mountain Retreat we can design, build, finish, install, and deliver furniture to suit your style, and budget requirements. If you can imagine it - we can build it. Request a quote today for your design idea by filling out our request a quote form. Please note that due to the fluctuating cost of wood materials it is necessary for us to price most furniture at the time that you request a quote.